Bilstein 5125 shocks, front, pair, they fit UJOR 4x4 conversion w/4" lift. Shocks are 18-1/2" extended, 12-1/2" compressed. Used in good condition, seals tight, shafts like new, eye bushings great, nitrogen charge good, correct valving for the front of E250/350. I was very happy with these, but I built some custom upper and lower mounts that required longer shocks, otherwise they'd still be on the van. I replaced them with the same 5125 series shock, that's how much I liked the ride. 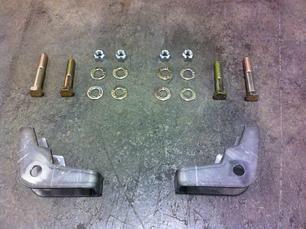 You will need UJOR upper mount kit FS001 or similar, and stock Ford Ubolt spring plate or similar for the lower. Will these fit a 1991 E250? I'll take them if they do. Negative ghostrider, ujoint only does 1992 to current. Nope. I have just a plain old 351W 2WD. Too bad. Anyhow, for anyone else interested in these, they are specifically for the UJOR mounts and a 4" lift. 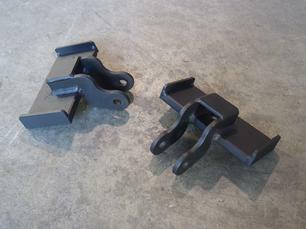 The UROR upper mounts weld to the Ford coil spring buckets. 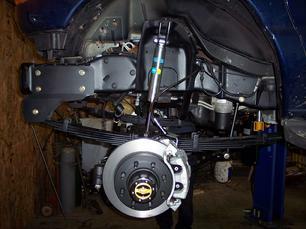 The lower mounts can either be Ford/Dana 60 (99-04 vintage) or UJOR lower mounts.